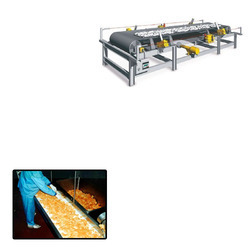 Our organization works in manufacturing and supplying a subjective scope of Belt Conveyors for Food Industry. These belt conveyors utilized for conveying material starting with one area then onto the next. Offered transports are open on the convey and return side so they can be fitted with full range and have covers on the conveying side to reduction the measure of dust. Looking for Belt Conveyors for Food Industry ?